Situated in a bustling commercial area near the India Expo Mart, the Radisson Blu Hotel Greater Noida is surrounded by beautiful green landscape just three kilometres from the Yamuna Expressway. Take advantage of the hotel's prime location in the National Capital Region and enjoy easy expressway access to Noida and Delhi. After a day of business meetings or exploring the city, relax with world-class amenities like spacious rooms, free wireless Internet access, a swimming pool and delicious on-site dining options. This Greater Noida accommodation houses 175 spacious guest rooms, 11 Junior Suites, eight Executive Suites and two Deluxe Suites. Soothing earth tones, plush bedding and upholstery, contemporary design and large windows create the perfect atmosphere for you to relax after a long trip. Stay productive with the help of the generous work table, an ergonomic chair and free wireless Internet access. When you stay in one of the top floors, you can enjoy beautiful panoramic views of Greater Noida. This accommodation offers both smoking and non-smoking hotel rooms. 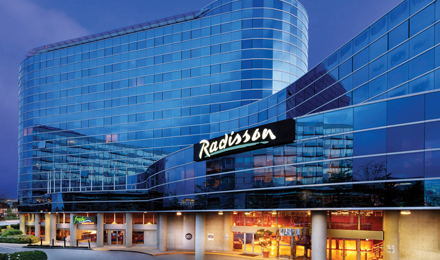 Stay at the Radisson Blu and enjoy some of the finest restaurants in Noida. Relax with a drink at the chic lobby bar or tea lounge. Sample a wide range on international cuisine at Cross Avenue, serving inspired buffets for breakfast, lunch and dinner. Satin offers exciting Pan-Asian cuisine and the exclusive Club Lounge is available to guests of Club Level rooms. 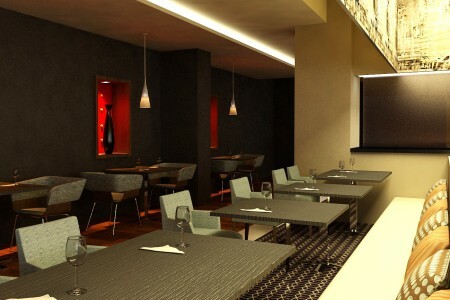 Enjoy the convenience of dining at delicious restaurants in Greater Noida without leaving the hotel.